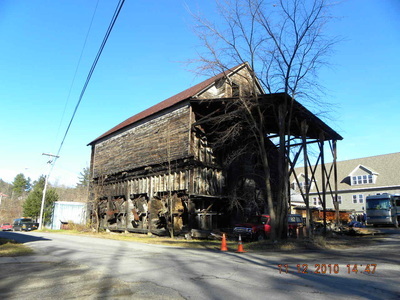 This contributing c.1920 highly intact, distinctive and significant industrial building, historically known as "The Coal Pocket," was used to store coal delivered by rail to the mills and manu-factories along River Street. 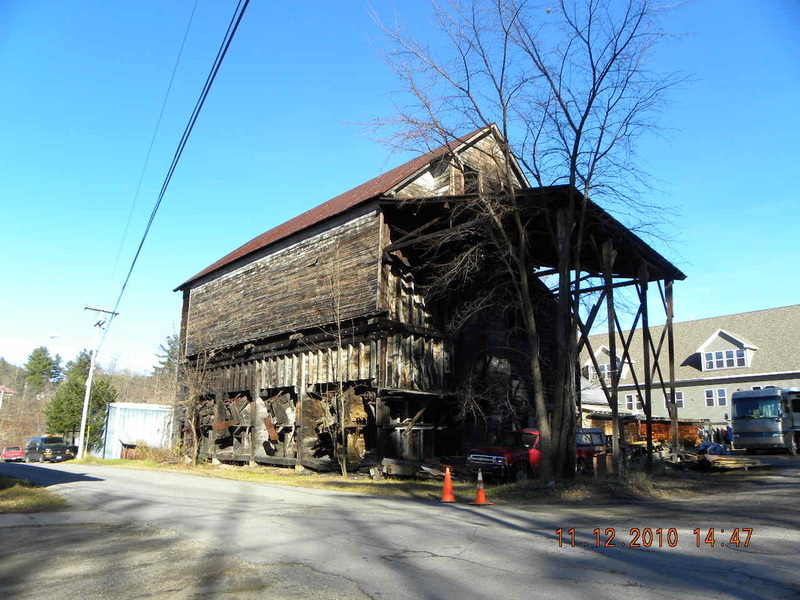 It features a gabled design with shed addition on the east side, original 6/6 sash in the gable peak, and for coal hoppers on the west facade. Coal Pocket – In 1921 A. C. Emerson Company constructed a modern coal elevator to store 1,000 tons of coal in eight separate "pockets." 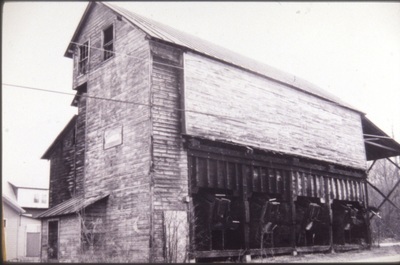 Coal delivered by the Delaware and Hudson Railroad was raised to the top of the three-story building by an electric conveyor and transferred to a specific bin (or pocket) according to size. Coal was the preferred source of heating during the decades before World War II. 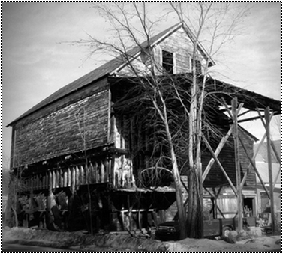 Unused for decades, the building burned to the ground on August 22, 2011.